You already know about some of these traditional (supposedly, family-friendly) Halloween flicks. Instead I’m sharing some that you may have forgotten – I know I did – that used to play throughout the month of October or are simply a little Halloween-ish. So here’s an excuse to watch them again – not that you needed one. Hocus Pocus | One word: CLASSIC. Halloweentown Series | Up until college, I cannot tell you how many times I watched each movie and the series since 1998. It’s a classic Disney Original must see film. In the series: Halloweentown, Halloweentown II: Kalabar’s Revenge, Halloweentown High, and Return to Halloweentown. Beetlejuice | (1988) If anything, watch it for the music and dance at the end with Winona Ryder. Matilda | Who doesn’t want to have magical powers to teach mean people a lesson? Not the moral of the story, but it’s my current take away. If the Trunchball doesn’t creep you out just a little with her “Javlin Throw”, I don’t know what to tell you. The Addams Family Series | Two words: Morticia. Gomez. Edward Scissorhands | I haven’t seen this movie in years, but definitely a good one! Needed to add to the list. Sleepy Hollow | Need I saw more beyond the fact that the lead characters are Johnny Depp and Christina Ricci. 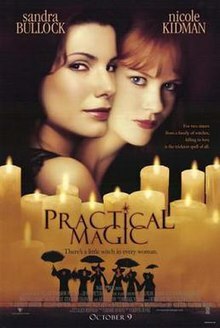 Practical Magic [by far, my favorite film] | With two of my favorites, Sandra Bullock and Nicole Kidman, as sisters, in all their witchy and 1990s glory. Witches of Eastwick | 1987 version. One of my favorite funny witchy movies, with Cher, Susan Sarandon and Michelle Pfeiffer. Even though Jack Nicholson creeps me out in every film he’s in (mission accomplished in this film). Not child friendly. Agatha Christie’s Hercule Poirot, ‘Hallowe’en Party’ | Season 12 Episode 2. I absolutely love Agatha Christie – basically any and all murder mysteries. Taking place in the 1930s, my favorite ‘mustache-man’ (as my mom and I call him) has to solve the murder of not one, not two, not three (sorry, I had to), but four people. Goosebumps | I wasn’t a fan of Jack Black, but I really enjoyed watching this version of Goosebumps, more than once. Clue | The 1985 version is absolutely hilarious and you will have no clue whodunnit. Coraline | Creepy animated film, but very well done. I don’t care what anyone says, I remember loving those days when ABC Family had a Harry Potter marathon around Halloween. It was perfect and I still do it! The Craft | I would advise not having a girl gang or squad like this bunch because you don’t know what’ll happen. Carrie | Any version of this film is scary. Hopefully it teaches people to be nicer to one another, particularly in junior high and high school, because pay back is a B. The Shining | Jack Nicholson creepiness at it again! Watched once. Curiosity satisfied. Never again. Dracula | There are SO many versions out there. Of course the oldies are classics and must sees. But if you’re looking for a marathon, seeing all of the Dracula’s will definitely take up more than just Halloween Day and Night. 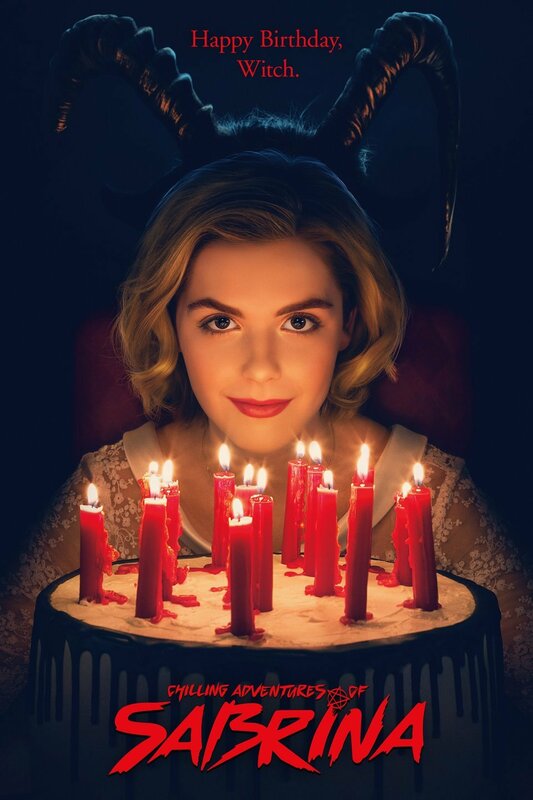 The Chilling Adventures of Sabrina | #netflix This is a Netflix original on a darker scale, from Sabrina the Teenage Witch, with the first episode premiering on October 26th. Orphan | (2009) I could barely watch this film the first (and only) time around, because it creeped me the heck out. Jeepers Creepers Series | I’ve seen the series once, don’t need to see it again. ‘Creepy’ is the right adjective. The Babadook | #netflix Scared the sh*t out of me. That’s all I’ll say. The Haunting | Warning: If you answer an ad to spend a few nights locked in a creepy mansion to be studied for sleep apnea, I question your judgement. Penny Dreadful (2014) | #netflix. 3 Seasons. My favorite creepy series starring Eva Green (girl crush! ), Josh Hartnett and many other amazing actors/actresses. 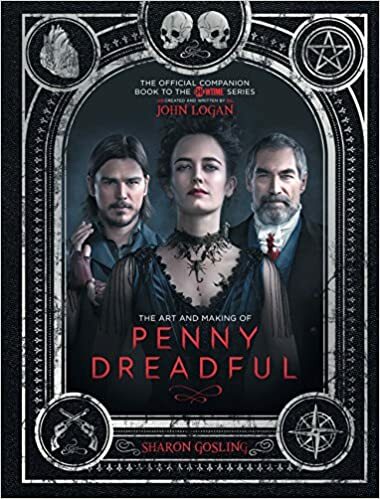 The series is originates from a compilation of short stories, formally known as ‘penny dreadfuls’, 19th century British Gothic fiction. Bringing in characters like witches, werewolves, vampires (namely Count Dracula), Frankenstein, Frankenstein’s monster, Frankenstein’s bride, Dorian Gray, Dr. Jekyll, Van Helsing and many others. 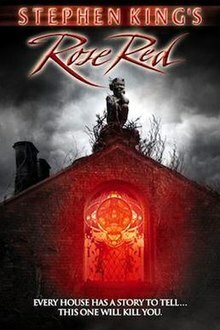 Rose Red | (mini series) Stephen King film. An oldie but a goodie. Did you know with a month’s notice this film was turned into a mini series? Charmed | #netflix 8 SeasonsCharmed | Reboot of the original series. Premiered on October 14th. I’m curious to see how it goes because I was OBSESSED with Charmed. Ghost Whisperer | #amazonprime 5 Seasons. I’ll be honest, some of these scary movies I have no intention of watching again, or watching after the sunsets. Have you seen any of these flicks and/or series?What are some of your October | Halloween film favorites you absolutely must see each year?